Texans bought 9.5 percent of all the beer sold in the United States in 2015. That’s almost 20 million barrels, making it the second-largest U.S. market, after California. But California has something like 10 million more residents overall, and a legal drinking-age population that’s also bigger by about 10 million. So the average 21-plus Texan drank 32.3 gallons, or 344.5 12-ounce servings, of beer last year. That’s over 70 typical bottles or cans per year more than the average 21-plus Californian. And it’s just over one more per week than the average 21-plus American. I don’t know about “everything” being bigger there, but at least the beer business is. So ups and downs in Texas can impact beer nationally. Like on the national stage, it’s Constellation Brands Beer Division, importers of the largest Mexican brand families, Corona and Modelo, that’s driving the biggest “ups” in Texas. It’s a subsidiary of the public U.S. company Constellation Brands, primarily a wine and spirits supplier worth over $30 billion. It gained one full market share point of the Texas beer market last year, up about four points in five years to over 8 percent market share. Now that the company also owns Ballast Point Brewing & Spirits, it has another family of beers to try to expand. Other, smaller companies aim to build their business by selling more beer in the state, some by literally building their businesses there. Both Oskar Blues Brewery and Atwater Brewery are putting down roots in Austin. A steady stream of other out-of-state breweries adds distribution to all or part of the state, ramping up competition in the space that much more. Expanding into Texas can provide a big pop to an individual company’s sales stats. Back in 2014, Colorado’s Odell Brewing Co. started selling its beer in Texas, which actually increased the number of people able to buy Odell beer by about 80 percent. It also led to volume growth at a faster-than-usual pace that year (up 28 percent) for a company that averaged 16 percent growth for the prior eight years. Like everywhere else, Texas has seen its fair share of homegrown breweries open up, too. Since 2011, the state’s brewery count exploded by 220 percent to 189, according to Brewers Association statistics. Spoetzl Brewery (makers of Shiner) remains the largest of the small Texas breweries, still almost 10 times as big as second-place Saint Arnold Brewing Co. Shiner was still over a third of craft volume sales at Dallas/Fort Worth (DFW) grocery stores in 2015, according to IRI scanner data. But again, like everywhere else in the country, the leading craft brands are shedding market share to smaller ones. Shiner lost over two percentage points of craft market share in DFW grocery stores in 2015 alone. Meanwhile, smaller, younger companies Rahr & Sons Brewing Co., Deep Ellum Brewing Co. and Revolver Brewing collectively gained over three share points of craft volume in that market. Larger brewers of all sizes want a piece of the growth that small companies like these continue to get. That’s not just in Texas, but all over the U.S., hence this current period of frequent brewery acquisitions (and yes, most agree it will continue for a while longer). 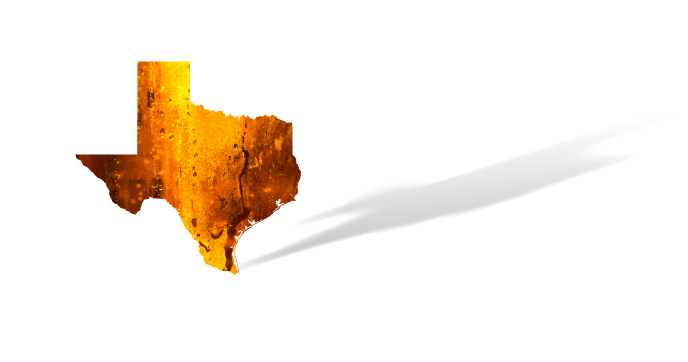 And just as an outsized portion of the country’s beer supply heads to Texas, a lot of the rumors about “who’s next,” or which successful small brewery will join a much larger brewing group, focus on the state. Though talk, being considerably cheaper than, say, investing in a successful small brewery, has so far largely outweighed action on this front, that could be changing. A strong craft brand in a market as important as Texas would be a good acquisition for just about any major buyer. The strategic buyer with the deepest pockets, Anheuser-Busch InBev, and the second-largest U.S. beer company, MillerCoors, have an extra imperative to buy: They need to get back to gaining or at least maintaining market share. Since both of those companies formed in 2008, they’ve collectively lost almost 10 points of beer market share in Texas, from 86.5 percent to 77 percent in 2015, about 2 million barrels. Nationally, the two companies declined by over 23 million barrels in that time. That’s about the size of the entire craft segment in 2015, give or take a million or two, depending on who’s counting. Growth of Constellation’s brands and small brewers have made up for about 70 percent of the losses of the big two. Yet beer consumption is down overall. In 2015, the average 21-plus American drank 6 percent less beer than he did in 2010. That’s only about one fewer 12-ounce beer every third week. But it adds up quickly. Still, total alcohol consumption hasn’t changed much. For example, over 60 percent of the absolute alcohol consumed in Texas in 2014 was in the form of beer. That was about 10 points higher than the national average. But in 2004, it was closer to 70 percent in Texas and over 60 percent nationwide. Beer industry members zooming out for this macro view generally agree that these trends need to be reversed. But how? Right now, the easy answer is to invest in what’s working. And as Mexican imports and craft keep growing, look to those important markets like Texas for big moves from big players hoping to make something work.